Pfc. Mathis Moore, son of Mr. and Mrs. J.D. Moore, attended Frederick School. 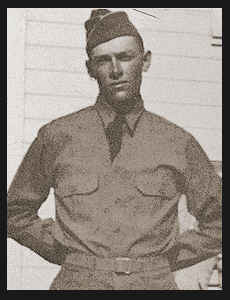 Entered Army in Jan., 1942, trained in Camp Roberts, Cal. ; served in Australia and New Guinea; was killed in action in Dec., 1942 in New Guinea. Awarded the Purple Heart.